Most of us want a beautiful yard, patios, a home.. But, many of us were not born with a green thumb. Some of us could kill a silk flower. Well, fear no more. Technology has come to the rescue. As the title suggests, we will give you our favorite, (and free) apps that will help you. These apps tell you what to look for if there are signs of trouble. They will tell you about the vast number of flowers you can grow, regardless of the climate of your home state. How many hours of sunshine your selection needs? What to do as some petals die. How far apart should the plants be? Do they spread on their own? What type of fertilizer do you need? Nature is spectacular. Take a walk in the closest natural area near you. Walk in the woods, along a nature trail, near the beach. Look around you. Nature assigned that particular area for specific plants. The flowers, trees, shrubs, and vines that you will find in the undeveloped parts of your area will give you a cue of what will successfully grow. The problems come in when we select flowers that are not prone to grow in our area. When you do that, you are continually working in your flower bed. Instead of being a beautiful way to enjoy your yard and relieve stress, it becomes a challenge to force flowers and plants that are not create for your climate. Tae the Yellow Hibiscus, for example. There is no doubt, this is an impressive flower. 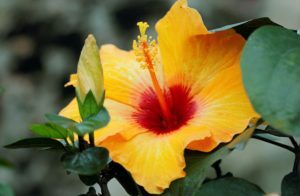 If you live in Hawaii, (where the yellow hibiscus is the state flower) it will grow beautifully. Hawaii gets a lot of rain. This tropical shrub needs a lot of moisture to grow. The soil can never be allowed to dry out. The plant thrives in Hawaii because of the high humidity of the area. Many people think Hawaii is just a series of beautiful beaches. But, Hawaii has significant rain. Hawaii also has massive rain forests. These flowers do not require a lot of water or work to grow. To conserve water and help them thrive naturally, set up a rain-catching system. 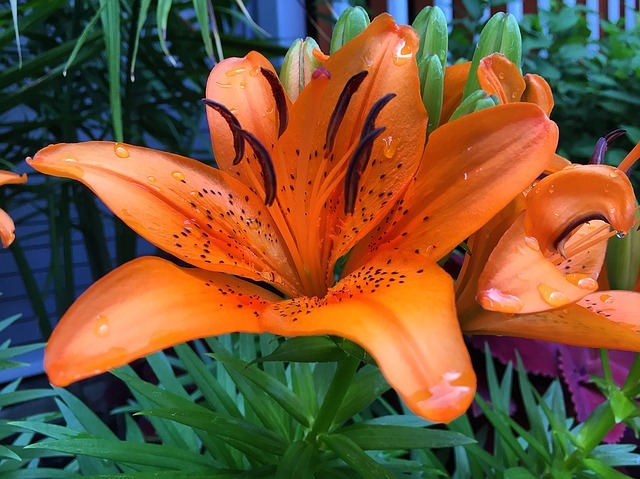 When you get your rain, it will collect in your rain barrels and when the flowers need water, use this natural hydration system to keep them healthy. This is probably one of the best gardening apps around. You can get tons of information, along with pictures, helpful hints and a social network of gardner’s from all over the world. If you have a question, there are plenty of answers. There is a helpful map for targeting what will grow in your area. This app is the considered the best of all gardeners apps. If you need to know something, it is in there. Regardless of your gardening skill level, this app will take you from planting to harvest. Get tips on everything from soil to pests control. If you have a question, chances are, they have the answer. You will hear a lot about how to protect your flower or vegetable gardens from pests. Many of us are hesitant to treat our plants with chemicals to kill them. But essential oils that will repel the insects. You will not need to kill the pests, because the all natural ingredient keeps them away from your garden. Try a few drops of tea tree oil to keep pests away. It also works (mixed 20 drops per a spray bottle of water) to keep fleas and ticks off your pets. This is antifungal, and it will stop parasites in their tracks. Other essential oils that are good for your garden is Lemongrass, Peppermint, Eucalyptus, and this is just the beginning. Get more details here.